During the earliest phases of recovery, there are certain events and occasions that can be especially triggering and cause problems for people trying their best to remain sober. The holidays are often the most difficult time of year for people have quit drinking or using drugs. 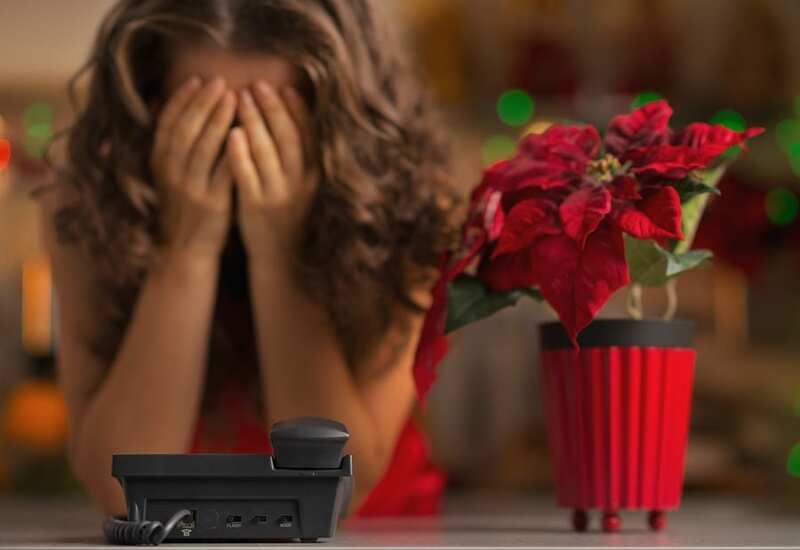 The period of time around the holidays is one that most people associate with alcohol and partying so it can be a very painful transition the first time a person experiences them sober. Family gatherings in general are often associated with alcohol and food and you would be hard pressed to find a holiday party that is alcohol-free. Most parties around the holidays involve festive drinks like eggnog and holiday-themed cocktails for people to enjoy. New Year’s Eve is probably one of biggest drinking holidays of the year with people passing around champagne and celebrating with as much booze as possible. People who have recently become sober may need some extra help to get through the holidays if they are really concerned about how they will react. The danger of relapse during this time is very real for many people especially in their first year of recovery. Having a support system is a key strategy in handling the holidays so it is a good idea to have as many people as possible who you know you can count on. If you are worried that you don’t have an adequate support system during the holidays then a sober coach can be a great tactic to keep yourself on track. There are numerous benefits to having a sober coach in your life, the most important being that they will do all that they can to prevent you from relapsing. Sober coaches know how to deal with any situation and are specially trained to deal with the difficulties of recovery. One of the biggest reasons to get a sober coach is that they are there to hold you accountable no matter why type of situation you find yourself in. It is easy to be accountable while you are still in a treatment center and it may also be easier during the less festive times of year. The holidays may be the time that you need someone there to keep your actions in check. A sober coach can check in on you if there is a certain party you are worried about or they can even attend with you and make sure you are okay throughout the evening and aren’t experiencing any intense cravings or triggers. If you do feel tempted to drink they can talk to you about what you are feeling and help to remind you of why you made the decision to become sober. Your sober coach is someone you can always call in times of need to pick you up, stay at a party with you or talk you through a difficult situation. Not everyone has a close, loving family and for many people the holidays can simply be a reminder of their family’s issues. Even though the holidays are meant to bring people together, the reality is that a lot of people actually feel more lonely and isolated during this time. They might have fights with their parents or siblings or maybe they have lost loved ones and are reminded that they are no longer there. A sober coach can offer a feeling of connection that people in recovery so desperately need especially throughout the holiday season. For anyone who is struggling to find an adequate support system or they just need a mentor, the sober coach provides a meaningful relationship in difficult times. Coaches are genuinely invested in your well-being and are there to listen and be a good companion whenever you need them. One of the best benefits of a sober coach is having someone give you perspective when your thoughts and feelings begin to spiral. If the holidays seem unmanageable, the sober coach can help you handle your anxiety and stress almost like a personal therapist. When you get overwhelmed by what the holidays are bringing up for you emotionally, they are there to keep you grounded and calm you down. Sober coaches are well-trained and understand how people with addictions think and behave. They know what you are dealing with and they know the best methods to help you cope with whatever your issue is in the moment. Their goal is to help you maintain long-term recovery and guide you through the ups and downs that otherwise would put you at risk for relapse. If you are worried about the holidays and need some special support, find a sober coach that you trust and you feel comfortable with so that you can have a smooth transition into the new year.